While old homes might have nostalgia going for them, they typically face much more maintenance issues than newer houses with updated systems. An aging home can present a lot of maintenance issues including plumbing problems that can result in a severe headache if not dealt with appropriately. In this article, we will discuss two of the major plumbing problems that you might be faced with in old houses. This is easily the most common plumbing problem that old homes are faced with. Galvanized pipes were traditionally used in older homes. These pipes have caused countless hours of frustration among homeowners. With these pipes, you might be faced with a variety of issues including but not limited to discolored water, corroded pipes, and more. These pipes build up with sediment on the inside, making the inside diameter of the pipe smaller and smaller over time, eventually to the point where water flow is unusable. While galvanized pipes can last a long time, they are not going to last forever. Therefore, if you still have these pipes installed in your home, the zinc coating is going to erode with enough time which can cause rusting issues. This is not only going to cause issues with water discoloration, but it eventually will lead to pipe failure. The key to fix this problem is updating your plumbing system to modern standards. You want to use copper or another solution in order to adhere to modern standards in plumbing. While this would be an insurmountable task for the average DIYer homeowner, it is a relatively quick fix that a professional plumber will be able to handle in no time. S.A.A.B. Plumbing and Heating also offers 1-year parts and labor guarantee on all S.A.A.B. provided products – This will help ensure that you do not have to deal with the issues that can come with problematic eroded pipes. Another big issue that a lot of older homes are typically faced with at some point is drain issues. By the time your home is aged 30 years or more, your drains have been through a lot. Your drains will have years and years of exposure to various things that can cause build-up. This can impact just about any drain in your home including your toilets, shower drains, and even your kitchen sink. Therefore, you might be dealing with issues related to clogs in your drains. 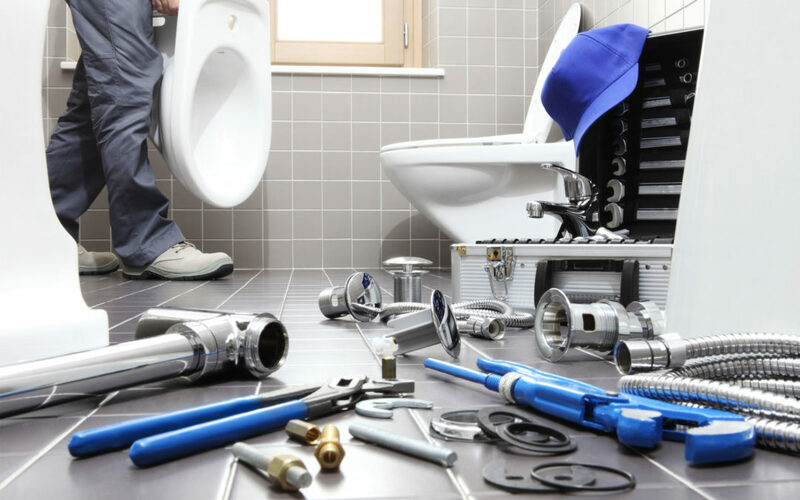 When dealing with any sort of plumbing issues related to the age of your plumbing system, you want to hire a professional plumbing service to assist. S.A.A.B. Plumbing and heating service will be best prepared to provide you with not only efficient results, but we will know the best solution to just about any plumbing issue that you might be faced with. This is especially true when it comes to replacing old plumbing systems with more modern solutions. We will be able to situate your plumbing to adhere to modern standards and minimize any troubles that you might face in the future as a direct result. Call us today or use our contact form to set up an appointment, it doesn’t matter if it’s a small leak, a clogged drain, or a broken water heater, it’s important to have the problem fixed as soon as possible and S.A.A.B. Plumbing and Heating is there for you 24 hours a day to help you when your home needs it most.